Our members want you to have total piece of mind in the knowledge they are fully licensed with the UK Environment Agency and adhere to DEFRAs good practice advice. Our members want to demonstrate their commitment to our environment by supporting what AFTA stands for & adhering to our Code Of Practice. 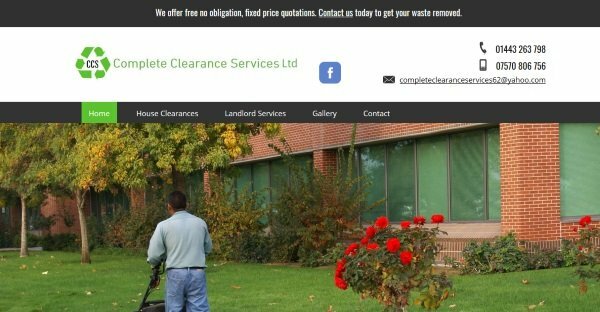 Company Description: At The Cluttered House Clearance Company we have specialist teams of male and female staff that specialize in clearing, cleaning & decluttering hoarded cluttered houses, these properties include, houses (all types), flats and bungalows, we also clear garages, attics, out buildings and sheds. These type of house clearances seem daunting, rest assured that our cluttered house clearance specialists will clear your property for you in a stress free professional manner. Company Description: Cambridge House Clearance is a family run business covering Cambridge and surrounding areas. We specialise in house clearances brought about mainly by bereavement, we have a sympathetic approach to this emotional time helping our customers through the difficult process of clearing a loved one’s property. With a wealth of experience gained over a number of years our staff are fully conversant at dealing with a variety of situation and are capable of dealing with most thing. Our policy is to recycle or reuse as many of the unwanted items we collect as possible, We are fully committed to the safe and legal disposal of all unwanted items and guarantee none of the rubbish we remove from customers premises will be disposed of illegally. As well as House Clearances we also clear all types of property, which to date have included, offices, flats, garages, sheds, mobile homes, caravans and even a house boats. Company Description: Already Property Services provides logistic waste collection, property removals and property clearances, we collect and clear old unwanted furniture and dispose of at a local waste transfer station. Already are specialist’s and since 2005 deliver the services are clients require and expect, we are insured to work inside or outside any property, we have public liability insurances and goods in transit insurance. We are also trading standards approved Buy with Confidence Members. One call does it all as Already is a one stop shop for local or long distance removals and clearances in Plymouth and all surrounding areas. A dedicated service you can trust. Company Description: We cover all areas of Scotland for house clearance. We have many real house clearance reviews from our past customer available for viewing on our website. We have been undertaking full house clearances since 1998. A lot of what we clear is unusable but the better items we come across we donate to charity around Scotland where and when possible. We are fully insured with liability insurance. We can also offer our customers a cleaning service straight after the house clearance is complete, our cleaning service is ideal if you are to put the house on the market, rent it out or simply wish to hand the house back to a landlord or housing association in a good state. On our website we have a rough break down of house clearance costs as well as photographs showing the size of our large vans. We usually require 48 hours notice and like to turn up on the day at 9am. We are specialists at clearing cluttered and hoarded houses. We can also collect keys from a friend, solicitor or estate agent. Please check out our website and give us a call we work 7 days a week.